If you actually remember that you bought a new Pentium 4 computer to celebrate the new millennium, great news! A settlement by Intel and HP will pay you $15. A class-action suit filed in California alleges that “Intel manipulated the performance benchmark scores for its first-generation Pentium 4 processors and that HP aided and abetted Intel’s allegedly unlawful conduct,” according to a class-action suit wending its way through a California court. Both Intel and HP deny the claims, but they’re willing to settle anyway. The settlement site, operated by law firm Gilardi & Co., will pay you $15 if you purchased a computer with an Intel Pentium 4 processor between November 20, 2000 and December 31, 2001. A second group of customers is also eligible for the $15, provided you bought a first-generation “Willamette” Pentium 4 PC, or one with a Pentium 4 chip running at speeds of less than 2.0 GHz, between January 1 and June 30, 2002. Why this matters: Well, it doesn’t, really. You can’t rewrite history 15 years later, and any marginal performance deficiencies in Intel’s products, real or perceived, won’t make much difference. Neither will this settlement. However, it’s a small gratuity if you feel you got hosed. The settlement appears to be $15 per computer, and does not apparently apply to those who bought an individual processor itself. That doesn’t mean that those who bought a processor, but not a PC, can’t earn themselves a settlement; part of the provisions of the suit are that you can opt to remain part of it, but write the judge and complain. Otherwise, you can also opt out and sue the companies separately. 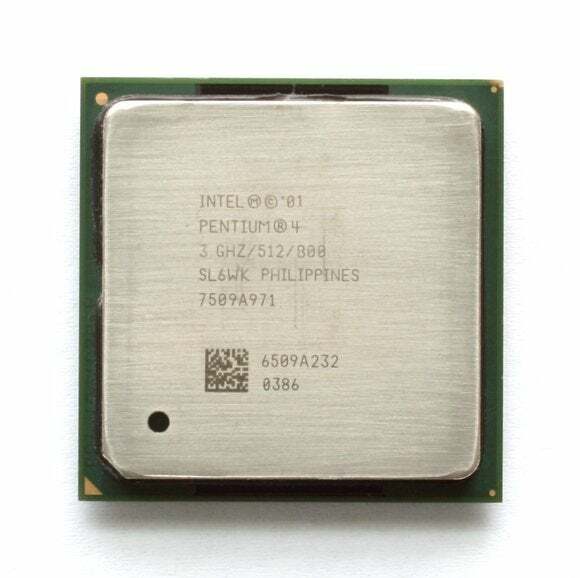 Specifically, the plaintiffs alleged that Intel knew that the Pentium III chip and AMD Athlon outperformed the Pentium 4, even on its own internal tests. The new benchmarks in question were WebMark2001 and SysMark2001, which allegedly were “written in-house by Intel,” the suit alleges. Intel didn’t address those claims specifically, but denied all of the claims that the class-action plaintiffs alleged, as did HP. You won’t need to provide proof that you bought a PC during that time, but you’ll have to provide some evidence that you did so, including the retailer’s name, location, and approximate date. And if you live in Illinois, you’re not eligible, sorry. Otherwise, that $15 is yours.